I rarely write a research article about a person or event from a single source, as there is the potential for significant error or bias in doing such. Unfortunately, the history of our people can be very sparse and fragmented, especially prior to the 2000’s. So there are some stories which I cannot eschew writing even though the data may be sparse. 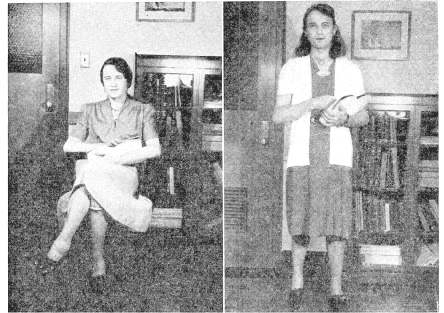 If one wanted to characterize the history of transgender persons prior to December 1, 1952, one might be hard-pressed to arrive at a better moniker than “the dark ages.” Very little is known about transgender persons and their treatment prior to the dawning of the Age of Christine [Jorgensen], with the greatest amount of data being either from medical journals and textbooks, or in the exceedingly rare biographies and autobiographies which exist (such as that of Lili Elbe and Ralph Werther, q.v.). 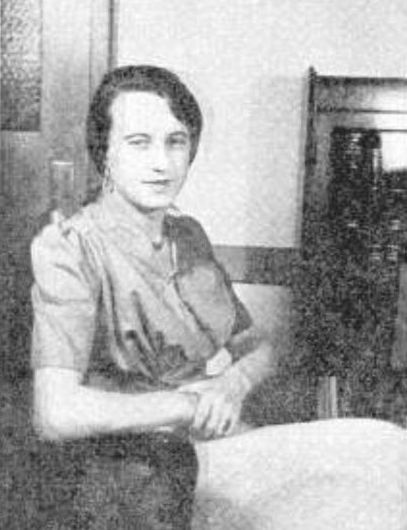 Mildred M. (unknown last name) was born male in 1908, a “sickly and frail child.” She was one of three boys and seven girls in her family, and from the very earliest childhood she remembers feeling that she was a girl. She wanted to ask her mother to raise her as a girl, was tormented by boys, and only felt good playing with other girls. In high school she didn’t participate in sports, and hoped that as soon as she graduated she could live as a woman and not “appear conspicuous.” She attempted to have a stable relationship with another woman at age 24, but while it resulted in marriage, the relationship was decidedly unhappy due to her transgender identity. Since that age she said she had been mostly unemployed, earning only a very small amount of money, and mostly dressing and living as a woman. 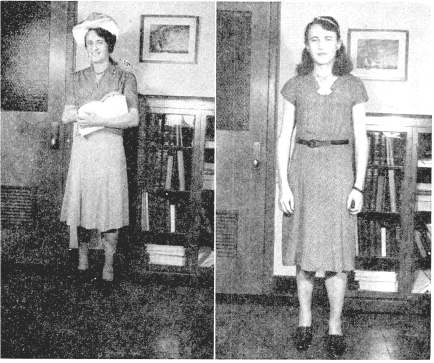 Mildred’s story, to the tiny extent which it is known, exists only because she came to the University of Illinois Psychiatric Clinic asking for a letter certifying that “he is a she.” Her request was met with suspicion that she was a schizophrenic, but as she didn’t fit that category she was then classified in the following manners. The act of dressing as a woman meant she “sought chastisement” from others, thus she was “masochistic.” Yet at the same time, this was classified as “sadistic” because she didn’t care how her status hurt her wife and others. The fact that she was able to stand in front of a large group of medical students and talk about her life “in great detail, without any manifestation of timidity, shame, or other affect” was determined to confirm her narcissism, exhibitionism, and emotionless psychopathy. Her composure under fire was reckoned to be a “poverty of emotional equipment” similar to that seen in hardened criminals. Several other psychiatric diagnoses were given in addition to the above, but really, let’s stop here and discuss. Psychiatrists of the pre-1970’s are notorious for playing the labeling game and qualifying virtually any behavior which does not fit a rigid set of pre-conceived rules as being a mental disorder. Such behaviors as anti-war protesting, atheism, and even interracial marriage were once classified as evidence of mental disorders by established medicine! In this case, the reporting physicians seemed to go out of their way to find fault in every single aspect of her behavior. Composure, good grooming, willingness to discuss her life openly, and compliance with female norms were all cast as being some of the worst psychiatric disorders imaginable! 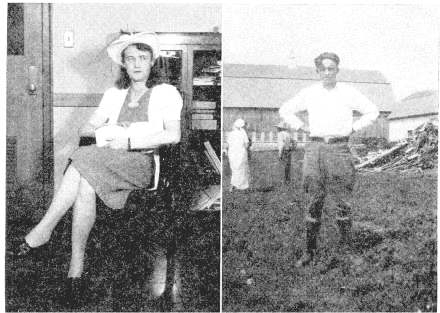 Needless to say, the physicians who treated Mildred categorically refused to certify her as a woman, and no treatment for transition was reported. 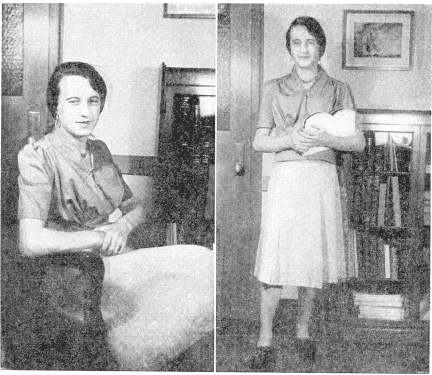 Given that there was no medical treatment for transsexuals carried out in the United States until the late 1950’s, even had they accepted her as a woman her physicians could not have helped her begin transition. I have searched at length and have not found any further information as to who Mildred was, or any other part of her story. It is likely the entirety of her story is contained within the single medical report which I found, which thankfully contains some photographs of her. I’ve copied all of them into this article, although they are poor quality, and I am searching to acquire better copies. My caption: Looking good, girl! “If they had been given these photos and told that they were of a woman and asked to diagnose anything wrong with her, they wouldn’t have made any of these comments, or diagnosed her as psychopathic. They might have made a mean comment about her ankle, or about her exposing her stocking and built from that, but the only reason they applied these diagnoses at all was because Mildred was born male. I thought it was an interesting comment on their own state of mind and their attitude towards women at the time that wanting to be seen as female was seen as “seeking chastisement” and “being masochistic”. Unfortunately, Mildred was born a few decades too early to be supported and given proper psychological care. I’ll end this report with a few lines from Mildred’s autobiography, as reported to her physicians. “I am honored to take upon myself the responsibilities and duties of a woman. I can cook, sew, keep house, everything a woman should know. My past will serve as sufficient proof of my sincerity. Olkon, D.M. and Sherman, Irene Case. “Eonism with Added Outstanding Psychopathic Features – Presented before the Chicago Neurological Society, October 15, 1942.” The Journal of Nervous and Mental Disease 99.2 (1944): 159-167. While this type of therapist projection may seem like the dark ages it is still very common place today. I have had similar experience and abandoned any hope of a therapeutic approach to transition. The ignorance of the therapist becomes the denial of the patient. It is not specific to transgender either. Probably explains why my mother reacted to my Question when three years old in 1943. One day when my sister was born and mom diapering her I pointed and asked; When do I get one of those?? Her reaction was such that a little kid at 3 knew not to bring that up again, Ever. Four years later in Catholic grade school the head Nun dressed a boy, a 7th or 8th grader that liked to be with the girls, in a complete girls outfit. I wanted to dress that way, and wondered why I could not, until. The ridicule he received from his peers was bad enough and when presented to the girls worse. So I hid and dressed in private. When expressed to my wife, a Nursing Professor at University of Mn, she made no attempt to ask or learn anything about it. That was in the mid 1980’s. Finally came out in 2011 and finally became a Happier Me. Look at it as a Gift, finally opened, and an out advocate for our group. ChloeAlexa.